The topic: What is Anti-Semitism? Is the rise of the far right in Europe a sign of increased anti-Semitism? Are the actions of the Likud Party in Israel contributing to a rise of anti-Semitism? 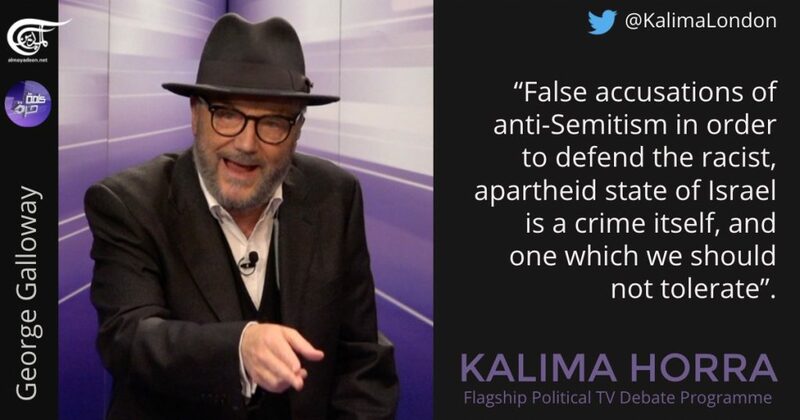 “False accusations of anti-Semitism in order to defend the racist, apartheid state of Israel is a crime itself, and one which we should not tolerate”. “The purpose of the anti-Semitism charge, is to protect the state of Israel. Historically, the main opposition to Zionism came from Jewish people themselves”. “Netanyahu made it clear that Israel is not a state of its own citizens, but a state only for its Jewish citizens”. “The people who don’t want Jeremy Corbyn in Downing Street, it is not because they fear he is anti-Semitic, it is because they fear he is going to crackdown on all the tax-dodgers, make corporations pay their fair share and that is what they fear”. 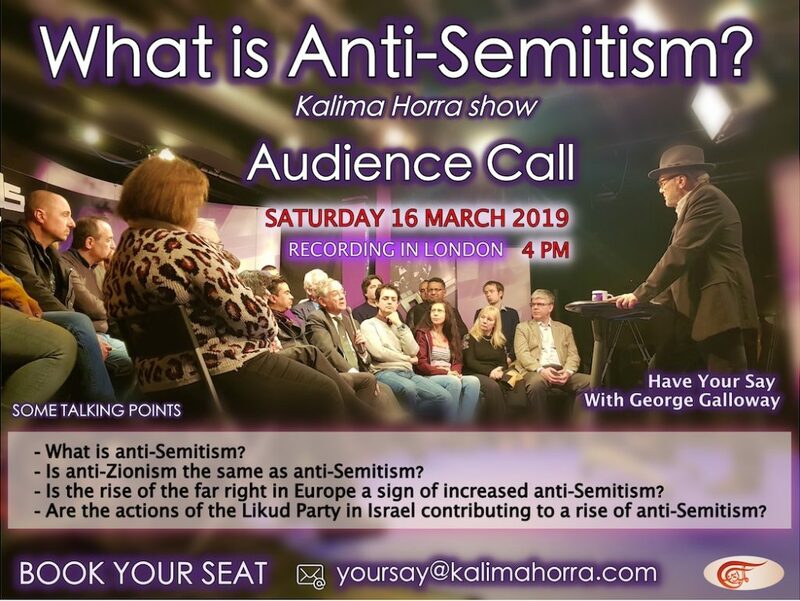 “Anti-Zionism is not anti-Semitism, and by conflating the two they are closing down a crucial debate about Palestine and the occupation”.